We can’t believe we’re already starting our third week of second session! Thursday we continued our fun beach trip day, hanging out in the water, playing games, and ending the day eating ice cream. At night, we had our Erev Pirate peulah. The chanichim went by bunk following pirate themed clues throughout camp. Everyone used they’re clue deciphering clues to solve the treasure hunt. Friday was a normal morning. During the afternoon, we had Rekudia practice and cooled off at the agam. 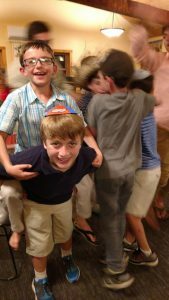 Afterwards, we got dressed for Shabbat and joined the entire camp for Kabbalat Shabbat. Despite the rainy weather, we davened a beautiful service and enjoyed a yummy Shabbat dinner. After a busy few days, everyone fell straight to sleep. Saturday morning we had our typical Gurim services, breakfast, and the joined the camp for Musaf. Everyone enjoyed their free time with their friends in the afternoon and came back together for sicha and dinner. We had a lively Havdallah with dancing and singing, then went bed to rest for another great day at camp. 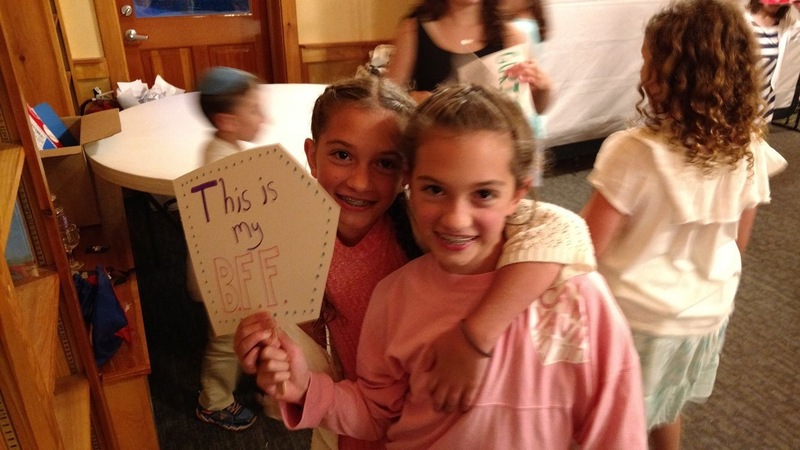 Sunday we said goodbye to our Kaytana chanichim and also switched our chugim (electives) in the morning. In the afternoon, we had an afternoon full of omanut (art) and the agam. After dinner, we joined together as an aydah for our (fake) wedding! Everyone dressed up for the occasion and gathered in the Beit Midrash for the event. Gideon and Mandy, along with all of Gurim, celebrated this happy occasion with a service led by Rabbi Richie followed by an epic dance party and ice pops. Everyone had a great time! Stay tuned for Rekudia and trip day updates!